Bring the family to Chandler Park Tennis Courts for some light tennis instruction starting on March 24th and then every 1st and 3rd Saturday in April, May and until June 2nd. $20 per family for all 6 sessions. 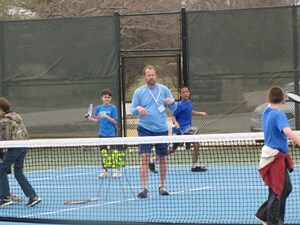 Sign up through the Mansfield Activities Center at www.mansfieldtexas.gov or call 817/728-3680.